Propulsion: One 3,200ihp steam engine, one shaft. 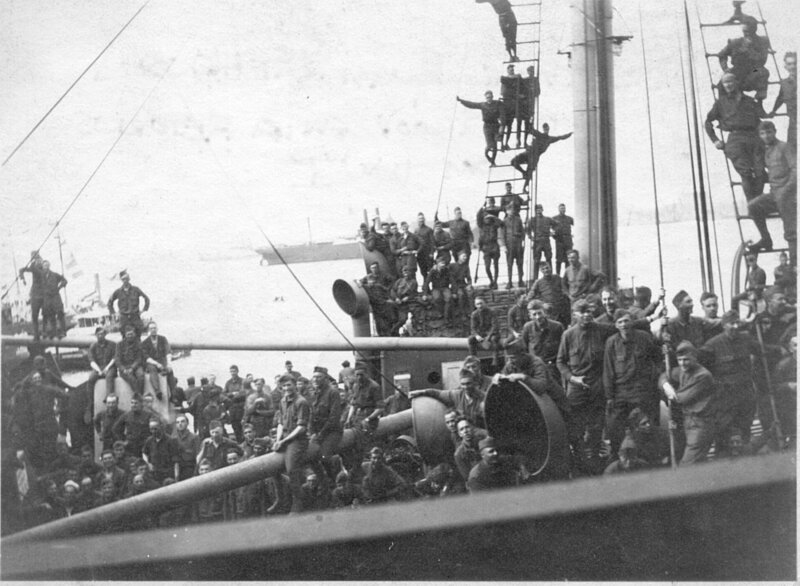 81k In port, possibly in the New York City area when she was inspected by the Third Naval District on 18 February 1919. 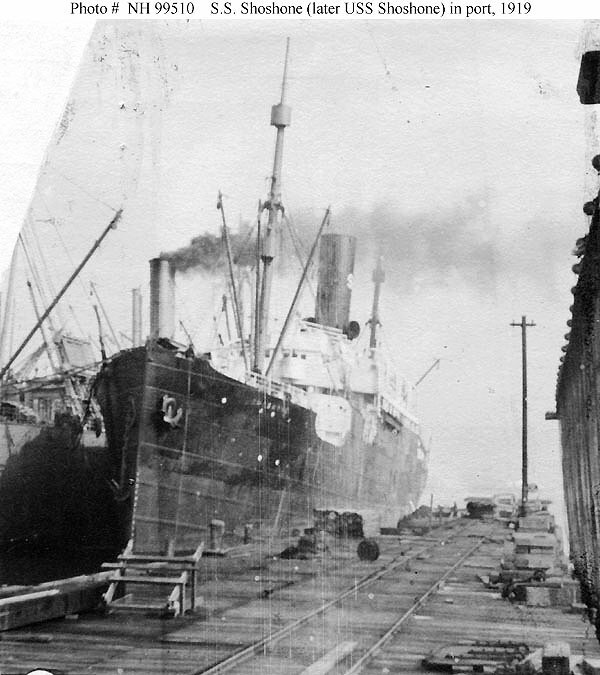 107k In port, possibly when inspected by the Fifth Naval District in 1919. 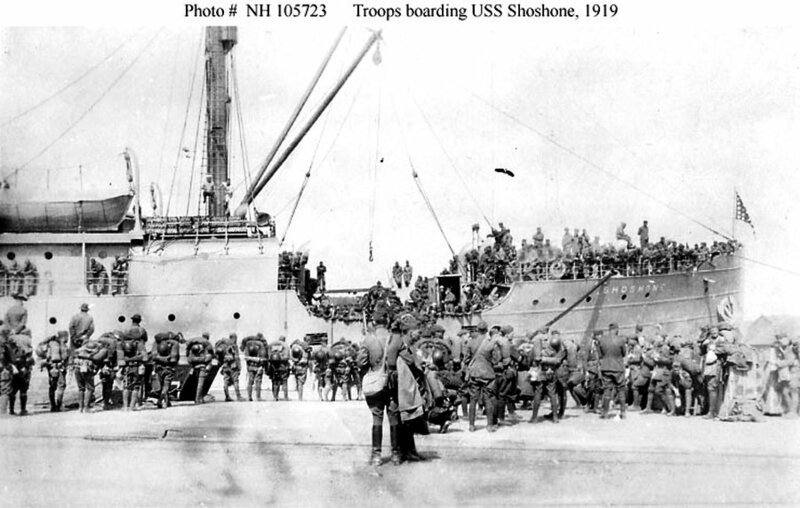 109k Homeward-bound troops boarding the ship, 1919.